This program has been prior approved by the American Association of Nurse Anesthetists (AANA) for 15.25 Class A CE credits. The CANA Spring Meeting offers our member-owners and non-members an opportunity to network with like-minded professionals and gain further knowledge and skills to further their patient care in the ever-changing healthcare environment. This educational program is designed to meet the requirements for Class A CE credit and an application is pending. Download the program below to see the relevant and engaging topics planned! 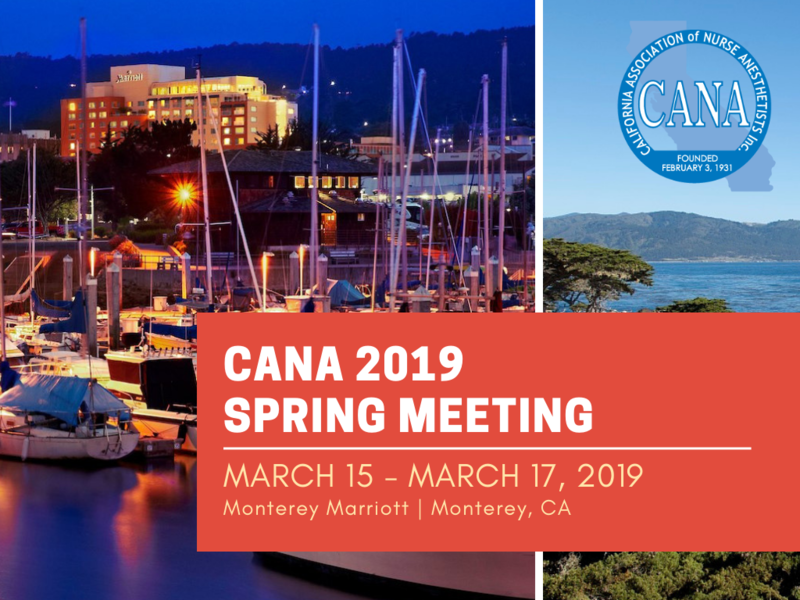 Attendee registration is NOW OPEN for the CANA Spring 2019 Conference — your opportunity for educational sessions, networking with nurse anesthetists and students, an exhibit hall, and so much more! Registration allows entrance into all meeting sessions, the Exhibitor Fair and Reception, and access to meals and breaks provided. Single-Day registration allows access to just your selected day’s activities. Register in advance for the best price! Win Tickets to the Tour! A few lucky attendees can join CANA on a private behind-the-scenes tour of the Monterey Bay Aquarium’s brand new Animal Care Center on Sunday, March 17th at 1400. Enter the CRNA Meme Contest below for your first chance to win. CRNAs and RNs are invited to sponsor a student’s participation at the conference for $100. Complete the form at the link below and the student will attend the meeting thanks to your generosity! 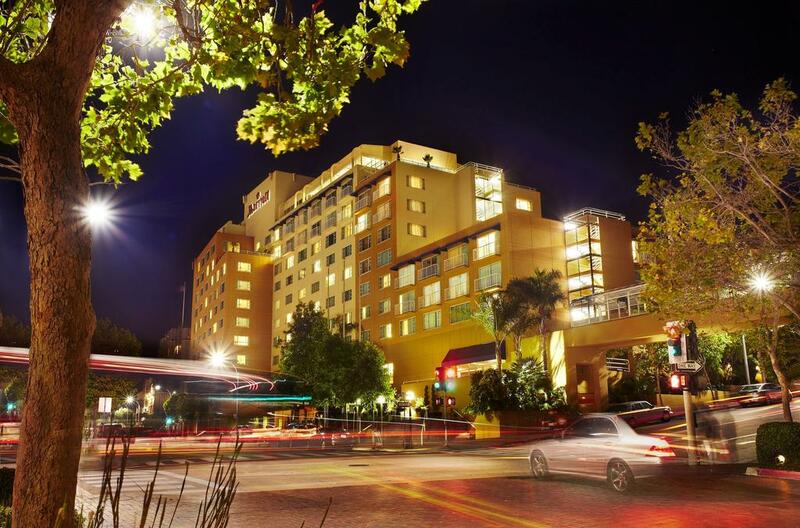 CANA has a room block at the Monterey Marriott hotel for the rate of $209/night. To make your reservation, click the link below or call (831) 649-4234 and reference the “California Association of Nurse Anesthetists” meeting. This rate is guaranteed through March 4, 2019 (or until sold-out). 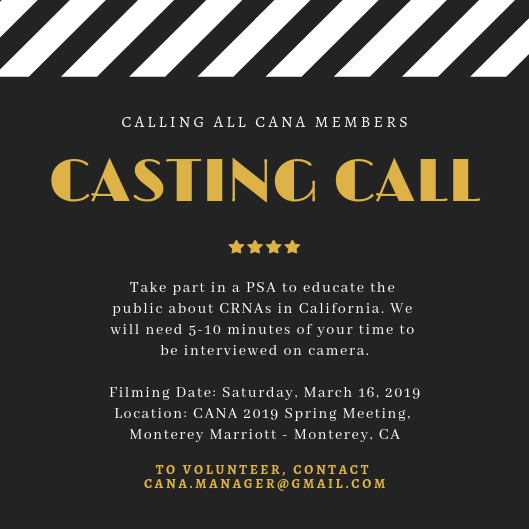 Take part in a PSA to educate the public about CRNAs in California. We will need 5-10 minutes of your time to be interviewed on camera. Reach key decision makers in the anesthesiology healthcare industry when you exhibit at California Association of Nurse Anesthetists educational conference. Don’t miss this opportunity to show your products and services to Certified Registered Nurse Anesthetists (CRNAs) and Student Registered Nurse Anesthetists (SRNAs) from across California. Space is limited, so don’t delay! Contact cana.manager@gmail.com to sign up today!